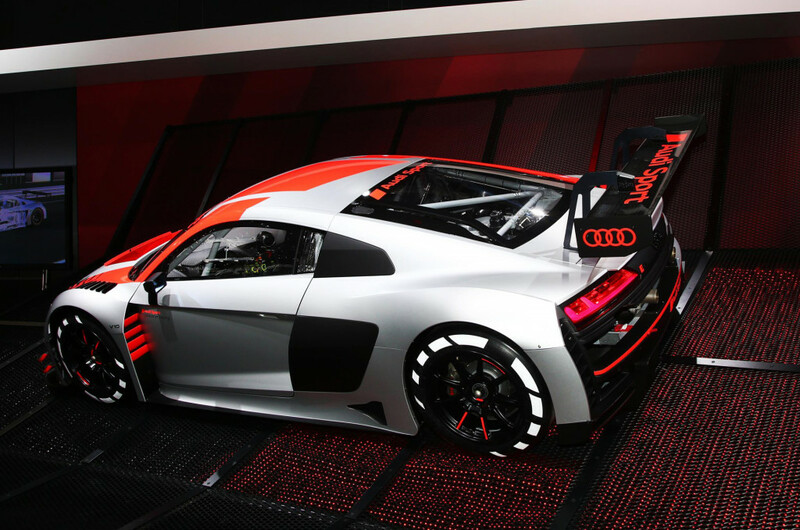 Audi Sport's R8 LMS racing into the 2019 motorsport season made a pit stop at the 2018 Paris auto show. 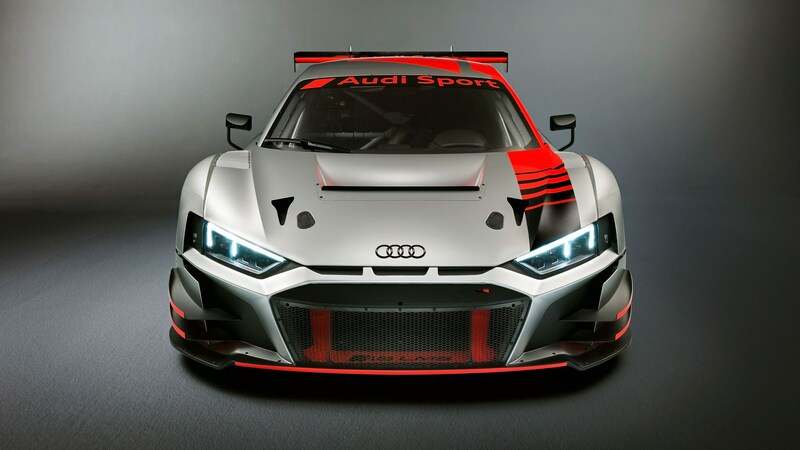 The version shown is designed for GT3 competition but Audi Sport also offers an R8 LMS GT4. 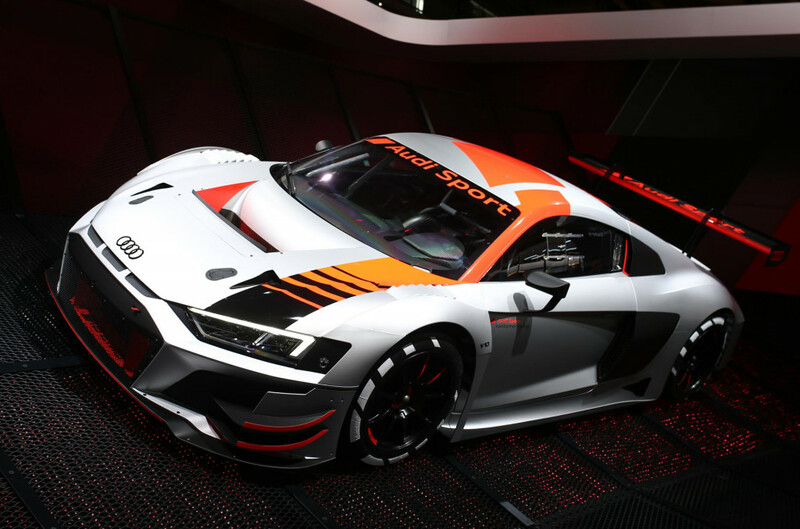 The car shown features the design bound for an updated version of the R8 road car due in showrooms next year, a prototype for which is shown below. 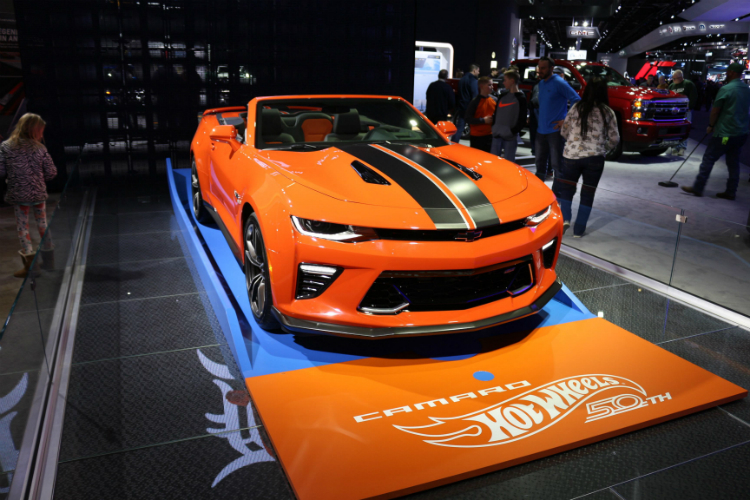 Revealed on the race car is more aggressive grille design that's destined for the road car. 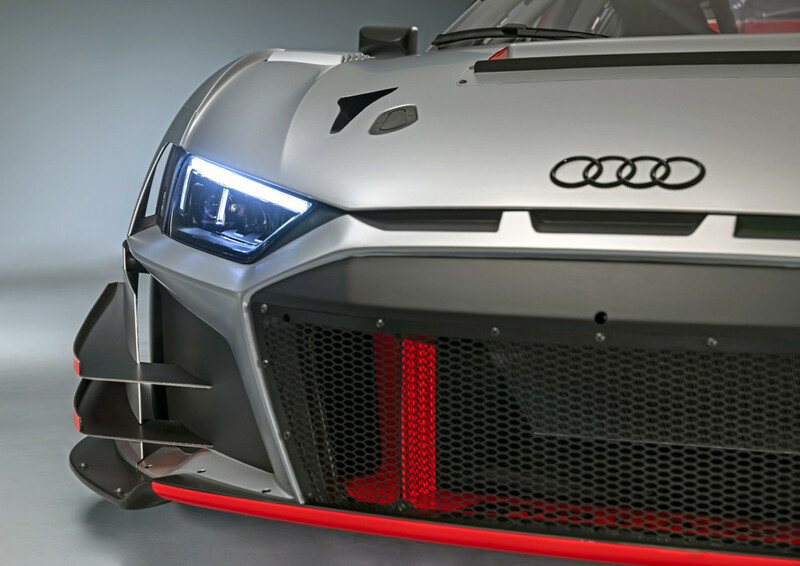 Audi Sport said its engineers focused on aerodynamics, cooling and drivetrain durability for the 2019 R8 LMS. 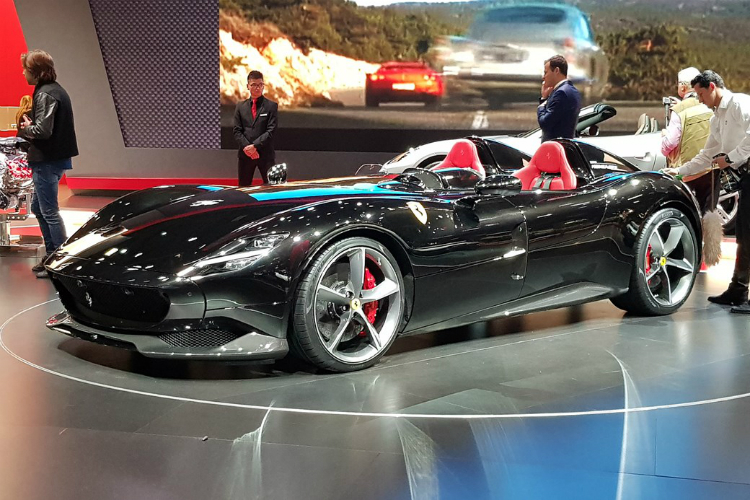 The good news is that this should result in a better R8 road car. 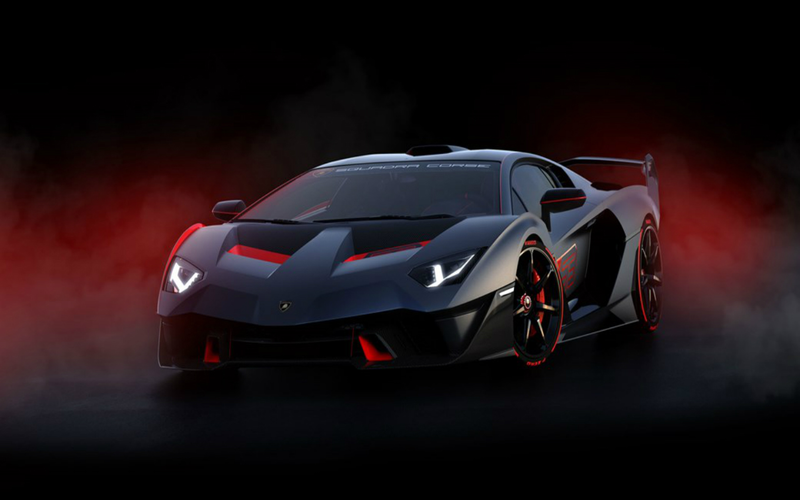 The engine is still the R8's familiar 5.2-liter V-10, which in the race car has its output restricted to below 600 horsepower to meet homologation rules. 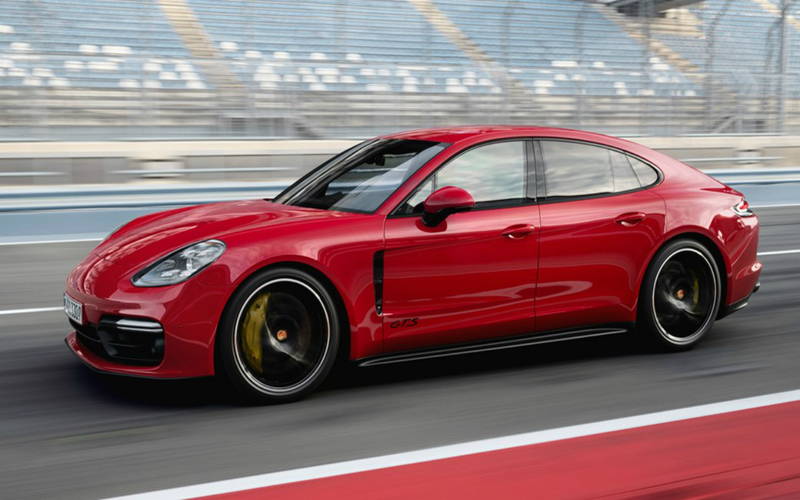 But with the drivetrain durability improvements, Audi teams will benefit financially from longer service intervals, particularly in the case of the transmission and clutch. 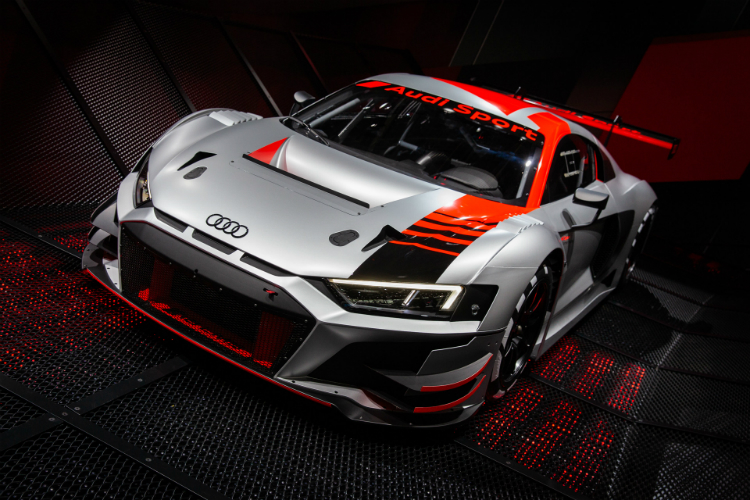 Deliveries of the 2019 R8 LMS will commence in November, with the starting price set at $459,380. 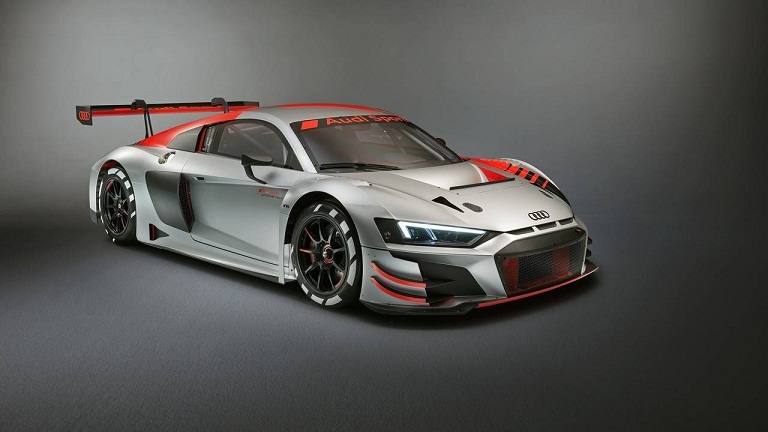 Teams already fielding the R8 LMS can purchase an upgrade package for $32,000. 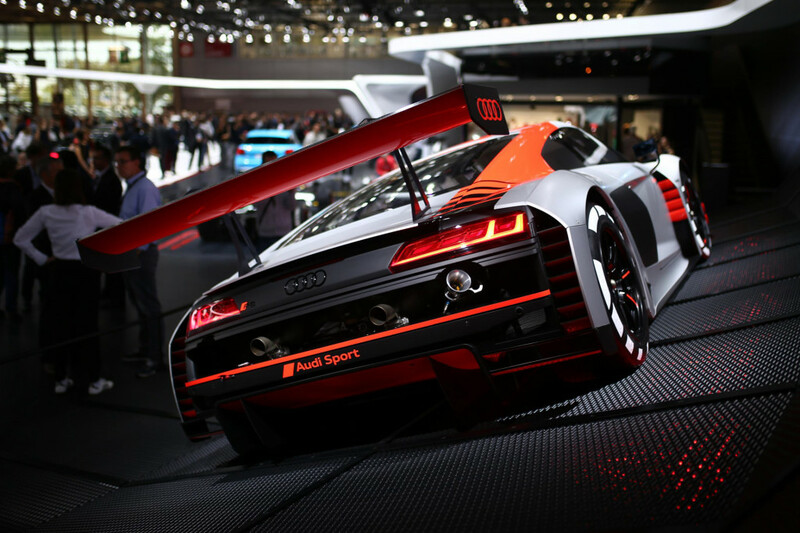 Unfortunately, Audi Sport remains tight-lipped on when the updated road car will appear. 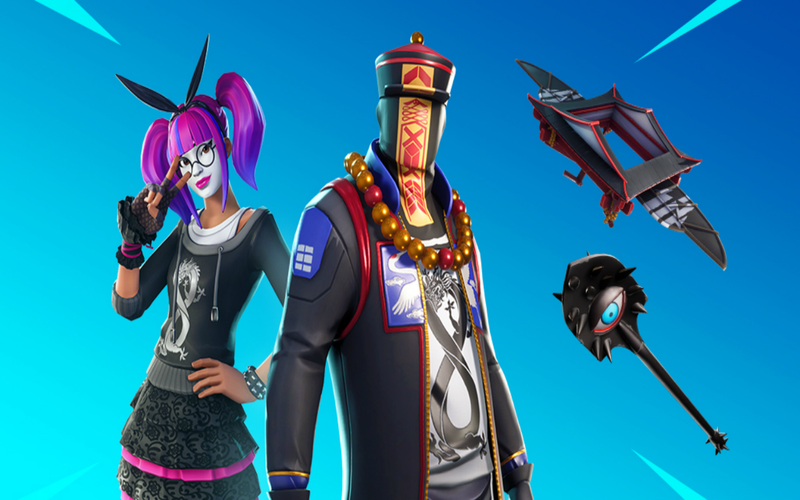 It's thought to be making its debut late this year or early next.